There are quite a number of digital packaging printers around now. Most are aimed at the folding carton or label markets, with a few targeting flexible films, and a couple aimed at corrugated board. 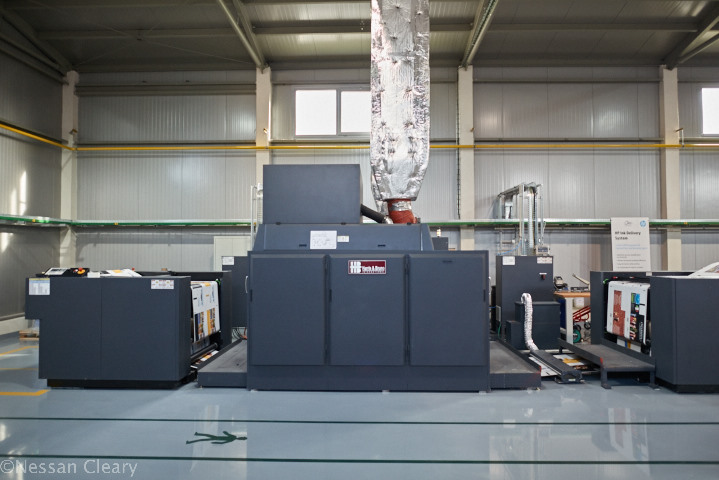 Last year I visited the Czech Republic to see HP’s T400 Simplex, a variant of its Inkjet Web Press designed for printing corrugated packaging. 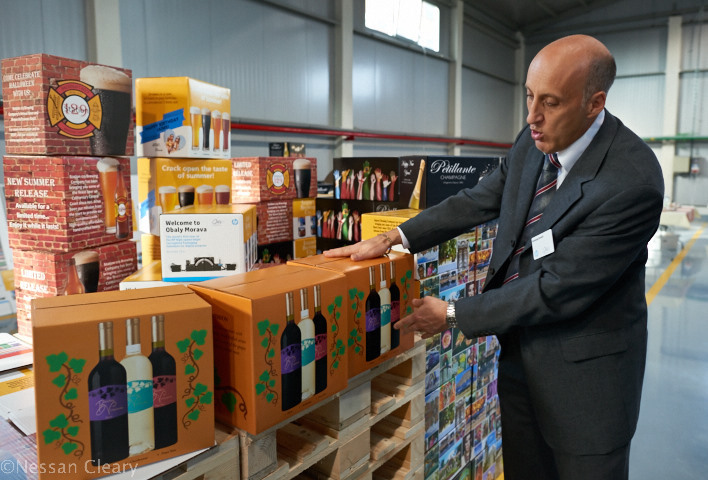 Obaly Morava is the only independent Czech producer of corrugated board and packaging and was the first company worldwide to install this printer. 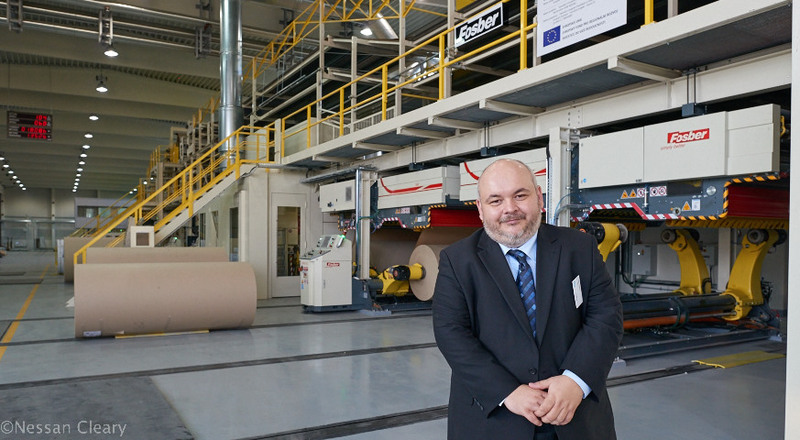 Martin Rehorik, CEO of Obaly Morava, proudly showing off his company’s main corrugating machine. 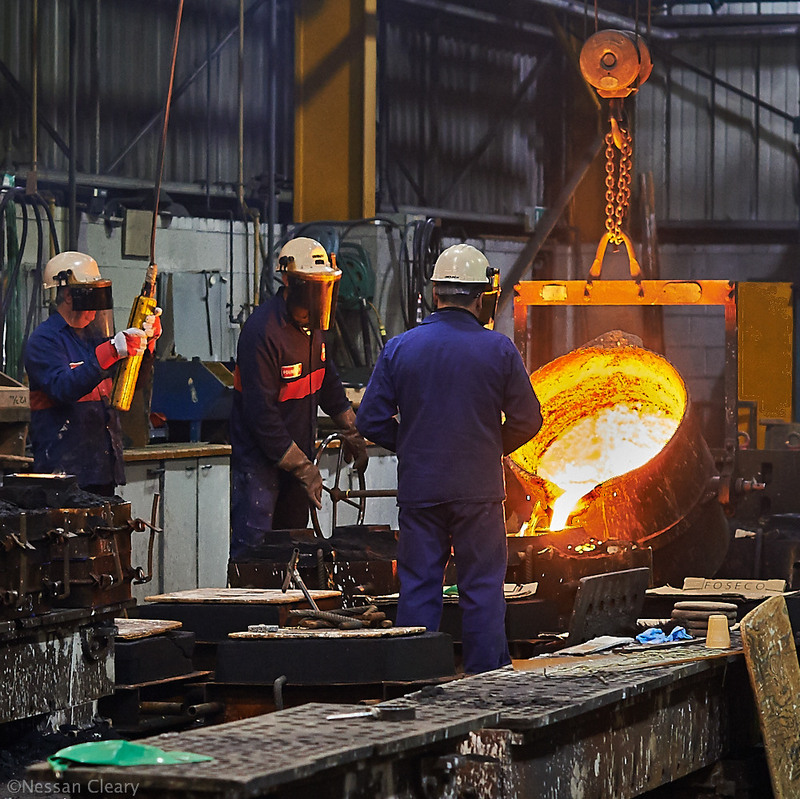 It is a family business, led by CEO Martin Rehorik, with around 250 employees. The company started by outsourcing the corrugated production but in 1996 installed its first corrugating machine. 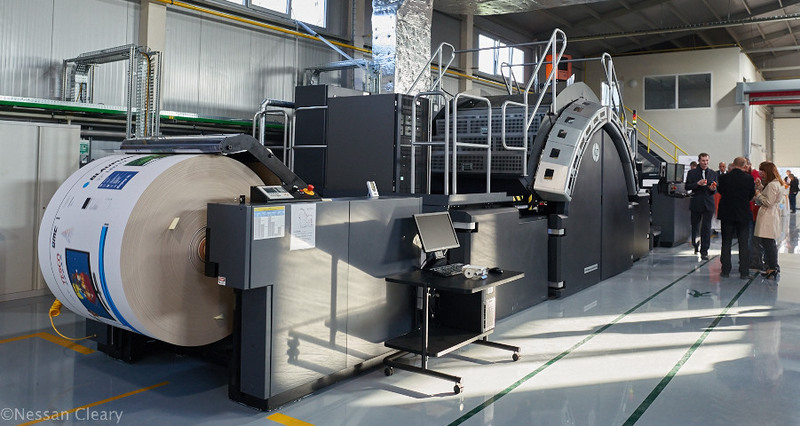 A few years ago the company invested in a Bobst Master Line for production and converting of corrugated packaging with flexo printing and die cutting, followed more recently by a Bobst Expert line. He realised that he would have to invest in a line to preprint rolls of liner to be added to the corrugated to create a preprinted corrugated board solution. He explains: “When I compared the two possibilities, of lamination or preprinting, I realised how many unnecessary steps lamination would mean for me. It would need a six to eight-colour offset press, with space and the operators plus the paper for lamination, which is very specific. To eliminate any unnecessary steps, Rehorik opted to print directly to the liner, and then started looking around for a digital solution that would be flexible for short runs, but competitive on price. This lead him to HP, and to the Inkjet Web Press. The T400 Simplex installed at Obaly Morava in the Czech Republic. Essentially this is just a single-engined version of the existing T400 inkjet printer. HP has had to make a couple of minor modifications. Thus the rewinders have had to be modified to take the larger four-inch cores that are used in the corrugated industry. It also gains web cleaners and there are some differences in the software to cope with the substrates and associated colour profiles. But otherwise it has the same specifications as a standard T400, with a maximum print speed of 182mpm. This equates to around 12,000 sqm/hr. Resolution is 600×600 dpi, which allows it to print text down to four point quite legibly. It uses the same A51 thermal printheads with the same water-based CMYK inks, complete with a row of printheads for HP’s bonding agent. The coating unit can be used for both pre-coating and varnishing. 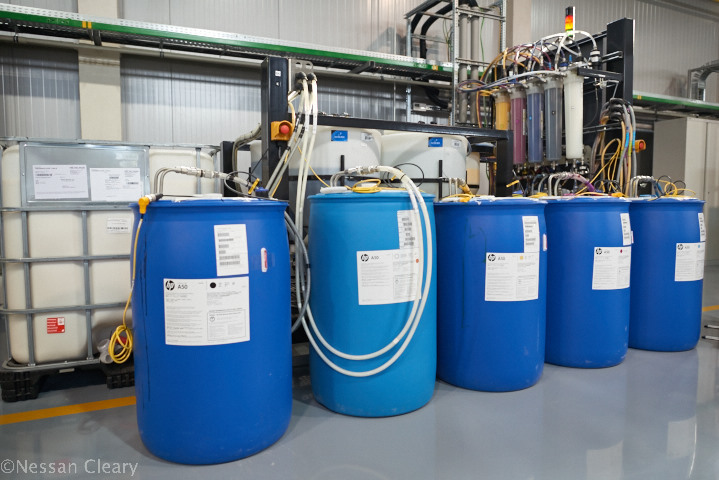 HP has also had to develop a new priming agent with a coating unit to deliver this. But unlike the bonding agent, which is only printed on the image areas, this unit flood coat the sheets to optimise them for digital use. There are currently two different priming agents, for coated and uncoated papers, with a third being developed for gloss coated papers. Gianluigi Rankin, HP’s Product manager for Inkjet Web Press Packaging solutions, showing how well the T400 copes with different stocks. He adds that one of the immediate advantages of digital printing is that the process is extremely simple, with no need to mix inks, change plates or any other makereadies. It’s simply a matter of sending the file to the press, printing to the liner, adding it to the corrugated board and then die cutting. Coincidentally, while I was there Rehorik announced that he had just that afternoon taken his first big order for a job to be produced specifically on the T400. Rehorik took a big gamble on being the first to install an inkjet press for this market, and it seems that it’s paying off for him. These ink drums represent the ink kitchen – there’s no need to mix inks for each job as the digital press takes care of matching the colours.